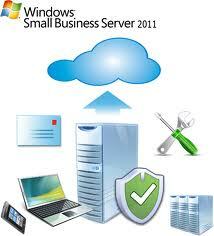 The addition of a Server to your business could be the safest thing for your business you have ever done. HardSoft recommend the Hewlett Packard (HP) Proliant ML330 G6 Server, which for only £18 a week will be fully installed and configured by a Microsoft SBS engineer. Suitable for up to ten users and complete with a backup solution and full 3 year warranty. Centralised filing cabinet– for all users in the office and working remotely everyone can access your company data. Ensuring that everyone uses the same data, templates and its stored in one place. Data Backup- as the HP ML330 is a central data storage we use a Lacie Cloudbox device to store your companies data on the Cloud. Meaning any business disaster you can have your data back from any location in the world within a few minutes. Email Storage and distribution– we will configure Microsoft Exchange 2010 software which will store all your companies emails. This also allows you to use your portable devices like Apple iPhones and the new iPad to send and receive emails. We can offer the Apple new iPad from only £ 4.55 per week on lease, including three years warranty and insurance. 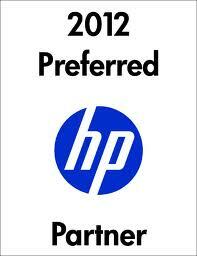 Bronze– our entry level of service with full 3 year warranty and unlimited telephone and remote dial up support,. Silver– as with our Bronze but also includes full on-site installation by an engineer plus 60GB of off-site “cloud” backup for your data. Gold– Our best service level with full installation, 100GB of Cloud Data backup and an annual visit by a Microsoft SBS technician to ensure the server and network are running to its optimum. Recently, we have added the Asus range of PC’s to our networks which offer greater value.. So we can offer a complete 5 User network with 5 x Asus Intel i3 CPU’s and 22” screens plus the HP Proliant ML330 server for only £43 per week on a three year lease . The Asus PC’s are the best value on the market and range from Intel i3 to the high powered Intel i7 for only £ 4.45 per week on lease. Now is a great time to talk to us about leasing a Server or network with up to £ 500 cashback and FREE MS Office 2010 on every workstation during August and September. Delivery is fast and from your order to installation is just 5 days.